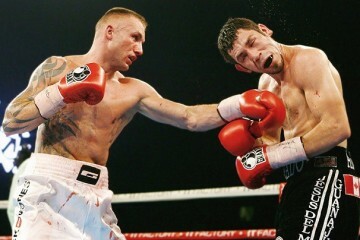 So you’ve just been hit by a punch that you didn’t see coming which put you in a daze or even on the canvas. You feel detached from your senses and your legs feel weak as you struggle to stay on your feet. If this has never happened to you, it will eventually and you must know exactly what to do in this situation as your opponent is going in for the kill. Here are some tips on how to recover from a hard punch (we also have another article called how to take a punch). There is really no form of training that can 100% replicate the resulting effects from a quick and powerful punch, but if anything comes remotely close, then it’s the spin exercise. Stand at the center of an open space (an actual ring would be ideal) with no obtrusions around. Clasp both your hands together with your forefingers sticking out (so your hand is like a gun) and point towards the ceiling. Do 10-15 full spins while maintaining focus on your fingers. Once you come to a stop, try your best to perform defensive moves (bobbing and weaving / pivots) and move around the ring (only subtle movements). Boxers such as Jean Pascal and Kostya Tszyu implemented this in their training program to improve balance and co-ordination when their equilibrium is jumbled up. The best way to recover from a hard punch is to be in excellent condition in the first place. The better your condition, the quicker you’ll recover. You need to focus on all aspects of strength and conditioning including aerobic and more importantly anaerobic exercises as boxing requires explosive movements and quick recovery. You should work particularly on building your leg muscles as your legs are one of the first parts of your body to malfunction when you get dazed. A vital factor that’s a big part of your conditioning is your diet regime. 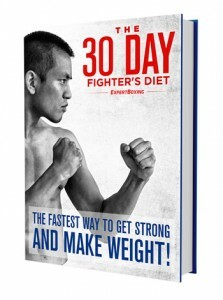 I recommend the 30 Day Fighter’s Diet program which has helped hundreds of amateur and pro fighters cut weight while retaining maximum strength and power. When you’re hurt and your head is scrambled, your basic instincts for survival will kick in. Some people have this instinct naturally but unfortunately, others have no idea what to do and end up getting stopped soon after. 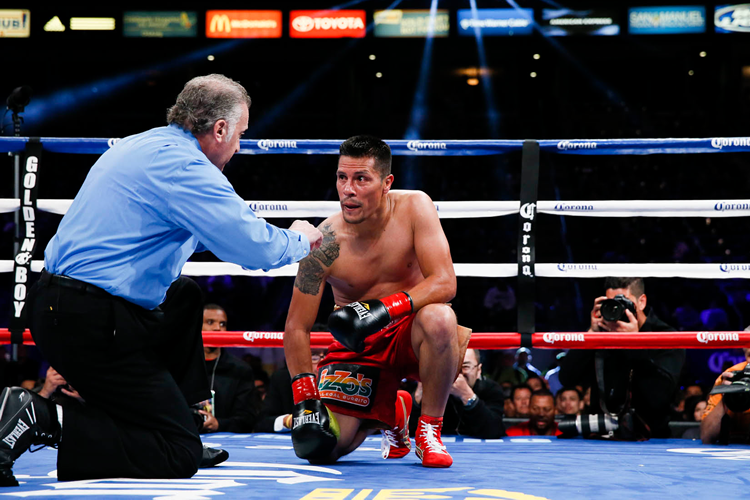 Here are several vital things you must learn in order to survive this kind of situation in the ring. This is the most important method of ring survival. Tie up your opponent’s arms so he cannot punch his way out. The referee will break up your clinch to resume the action but if you’re still hurt, keep clinching until your head is clear. You want to try and push your opponent back as you’re clinching so it saps some of his energy and is harder for him to get out. If your opponent is coming in with his head low and he’s within close enough range to clinch, then you can push his head downwards in a headlock and put your body weight on top of him by leaning. You shouldn’t grab around your opponent’s waist because but if you have no choice, keep your head under one of his arms and try to turn him so that you’re either to his side or back. When your opponent gets close, he will swing and then you can duck under to make him miss and then pivot around him so that you’re in a position where he cannot easily hit you. From that position, you can clinch him from the back or the side. Never go back in straight lines or get trapped on the ropes or corner. Everytime you feel your back touch the ropes, then move out the way. Very often, if someone smells blood and goes in for the kill, then he may go wild and swing away without a methodical approach. Sometimes, you may not be able to clinch or pivot, so the next best option is to bob and weave. Remember to keep your guard as you do this. Although your opponent will be reigning down punches, if he’s wild then many of them will not connect which allows you to make him miss and then find an opportunity to turn or clinch him. It’s very difficult to use your legs for quick and long movements when you’re hurt, which is why the above methods of survival is first recommended. However, you must know when and how to move. You should already know not to move back in straight lines, but instead, sidestep with your hands up high. Circle around your opponent while either staying out of range or up close so you can clinch. You shouldn’t trade punches when you’re not hurt, let alone doing it when you are. Trading punches require you to get in range and open yourself up. When you’re hurt, your punch resistance is significantly lower than normal and your punches are slower, weaker and much less accurate. Once you get your legs and senses back slightly, then you may want to let off single counterpunches such as the counter lead hook then pivot out the way. You can also try a short overhand. Your opponent may still be rushing forward so it’s a good time to catch him with a counter. If you were to get knocked down, no matter if you feel fine or not, don’t jump straight back up. You may think that you’re alright but as soon as you try to stand, your legs suddenly collapses underneath you. We’ve seen this happen time and time again to certain fighters. Needless to say, if you do end up stumbling over again, the referee may just call a halt to the bout, especially if you’re fighting as an amateur. It’s better to slowly get into kneeing position and then stand up. If you still feel slightly dazed before you stand, then stay kneeling until the count of 7 or 8 before standing up. Every second is crucial to your survival. Even though if you’ve never been badly hurt or even dazed before, you should always prepare for the worst. It will happen eventually and you want to ensure that you know exactly what to do in a survival situation, especially against a good finisher.